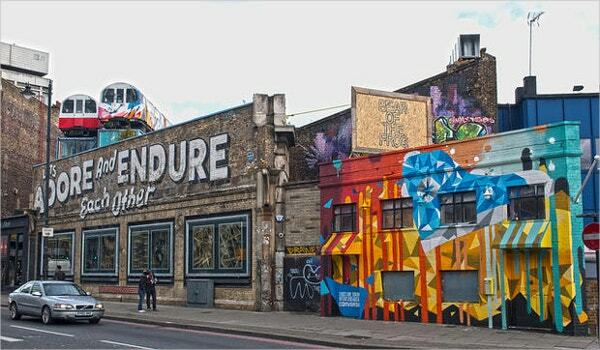 Street art has been around for generations, and at present, it continues to garner widespread support. However, even the best artists are often stumped for designs. 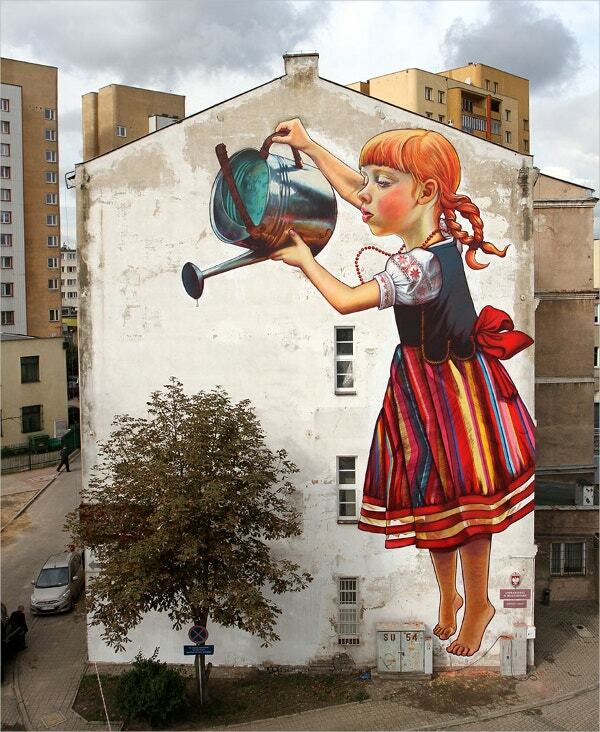 If you are stuck in a similar rut, you could use these glorious examples of street art for inspiration. The aesthetic beauty of each of the images is enough to trigger the artistic sense buried within you. With these samples, you can let your imagination run wild. Abstract designs, quotes, iconic images, you’ll find a plethora of options here! This simple yet meaningful art against the background of a brick wall certainly adds a different texture to the whole image. Also, one can’t help but notice the profound quote in the corner. 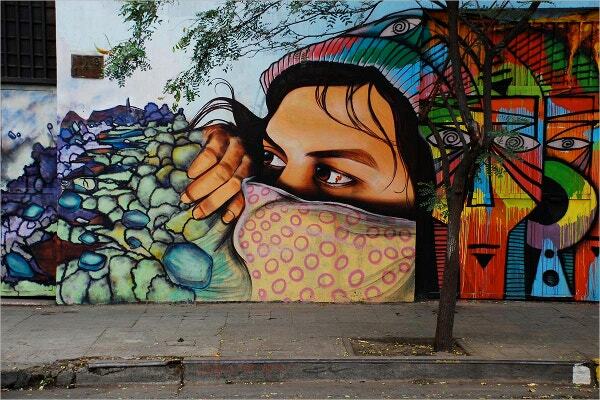 Street art is meant to make you stop in your tracks and become spellbound with its stunning beauty. 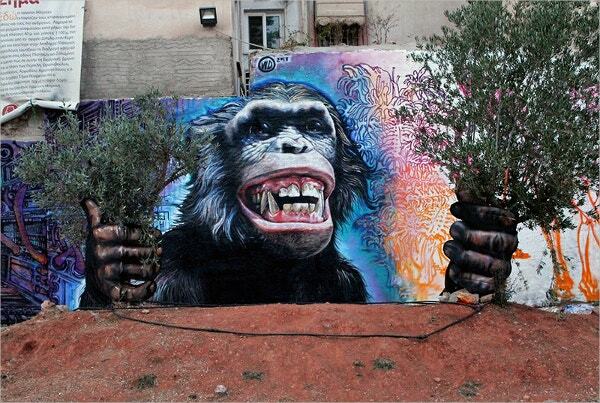 And that is exactly the kind of effect this street art example has on its viewers. This has to be abstract art at its best. The unique image of the template gives an insight into the aesthetic sense of the artist. You are sure to appreciate the simplicity and the profoundness of the image here. 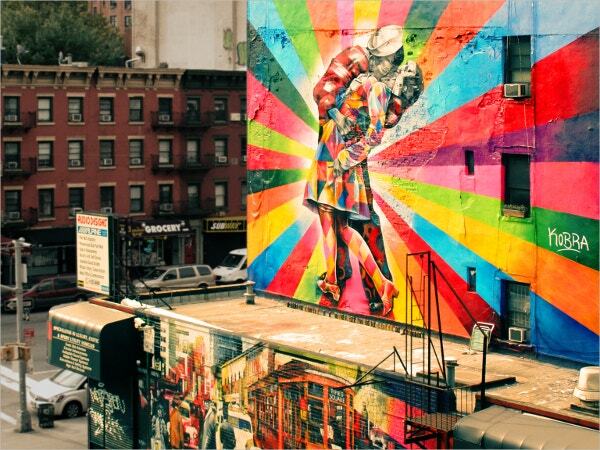 The seven hues of the rainbow come together in this fabulous image to create one of the supreme examples of street art. Although the image is simple, it strikes a chord with the viewers for sure. 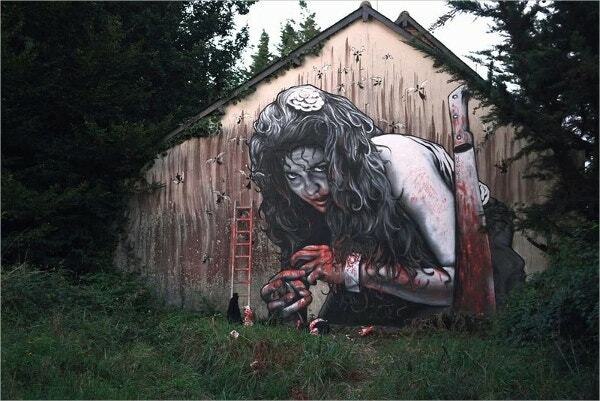 It would be hard to believe that this piece of magnificent street art is man-made. 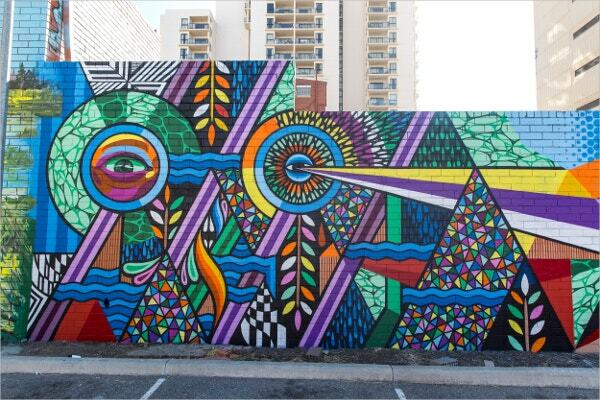 The use of colors along with the abstract pattern certainly makes this one of the best you’ve come across. You can also see Amazing 3D Wall Art. Street art is all about converting something extremely commonplace, like an ordinary building, into something that is breathtakingly beautiful. And that is precisely the impression you get with this template. The unique caricatures on the wall are sure to bring out the artist in you. This image is one that would make you pause and actually think. While it may seem quirky, it actually contains a deeper underlying meaning. The surrealistic image, along with the splashes of color, makes the artwork appear really profound and evocative. The aesthetic beauty of this template is sure to blow your minds away. If you were to describe this image in a few terms, “terrifyingly beautiful” would be just perfect. The vivid color scheme used in the image along with the fascinating design adds a special touch to it. 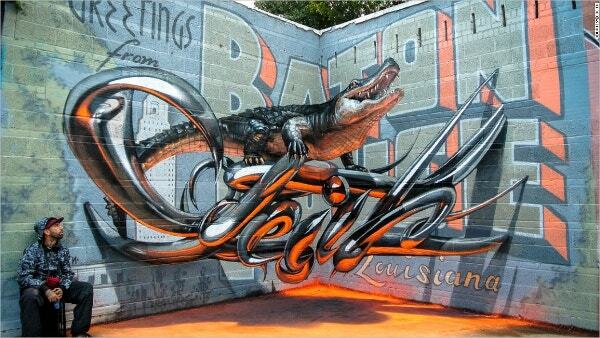 3D street art has become extremely popular nowadays. Artists today are experimenting with colors, patterns, and new techniques which literally make art come to life, just like in this image. You can also see 3D Art & Paintings. The street art here demonstrates one of the most iconic and legendary photographs in history and was taken in Times Square, New York. The photo has been transformed into a piece of abstract colorful art here. 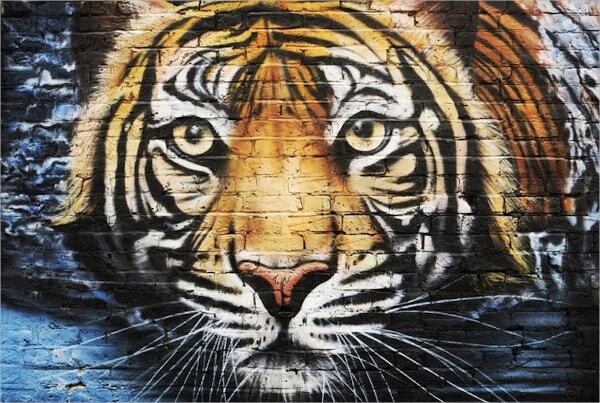 Tigers and other wildlife species are often considered to be popular choices for abstract art. 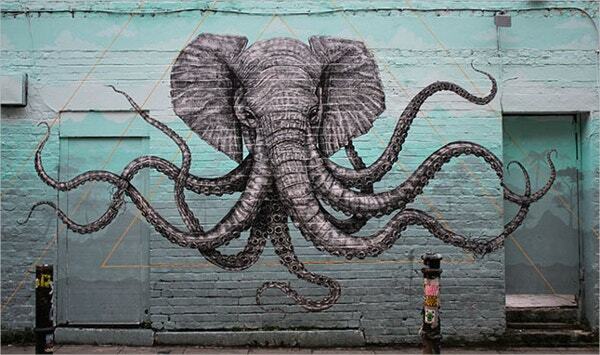 If you’re looking for inspiration, this piece of street art here would do the trick. 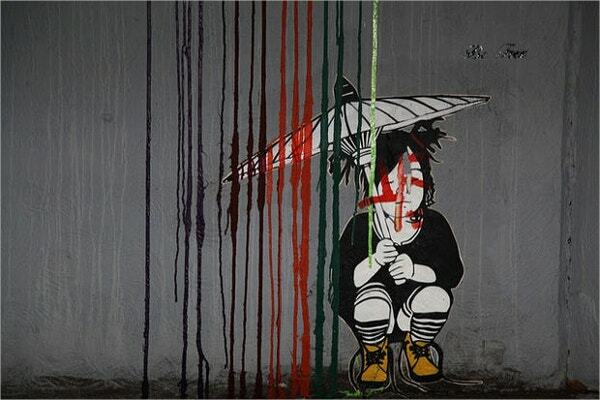 This street art template has a Goth feel associated with it. It is bound to spook anyone who takes a look at it. 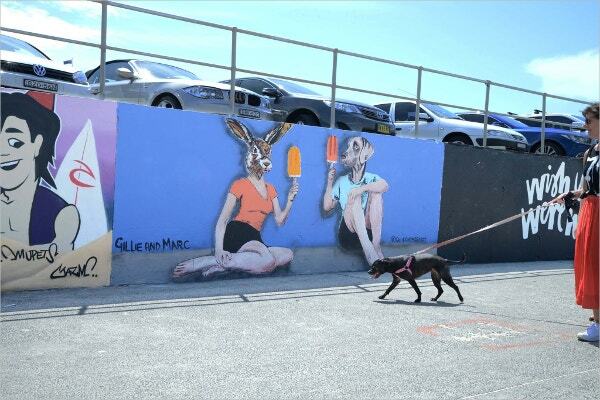 This would be a fantastic idea for your next street art project! 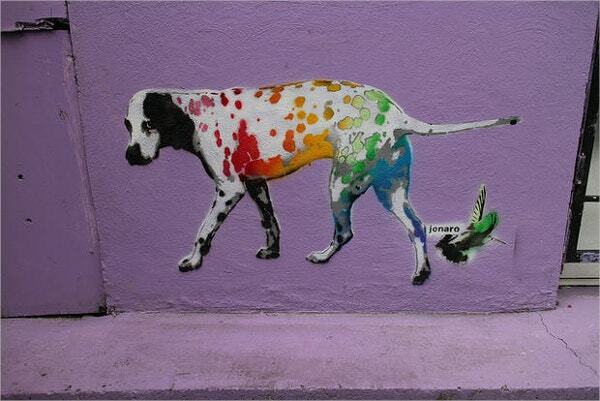 Simple yet meaningful- that is exactly what this street art is all about. Like this example, you too could make use of some profound quotes to add matter and depth to your image. You can also see Art Deco Painting. The black and white sketch along with a dash of yellow certainly adds a special meaning to the overall picture. 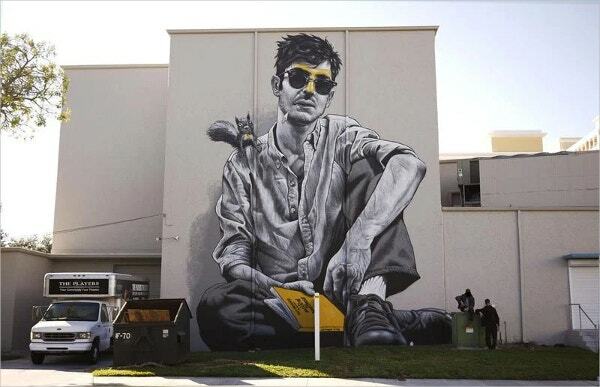 This has to be one of the best examples of cool and hip street artworks. 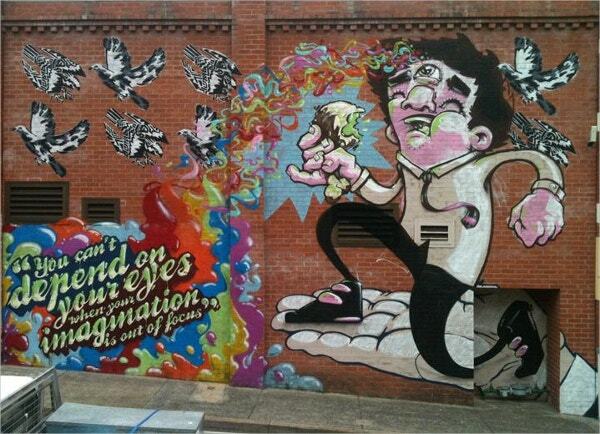 Street art may seem random, but it usually has a deeper and more profound meaning associated with it. 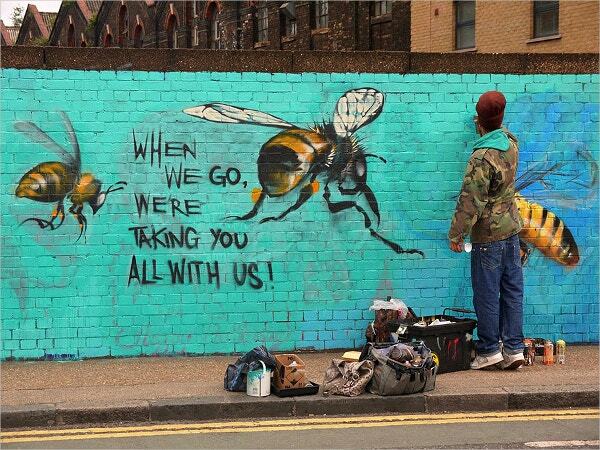 In these examples of street art, you would get a fine blend of the contemporary taste with the philosophical. One really cannot deny the aesthetics of the vibrant color combinations and the breathtaking designs. You can also see Cool Art Design.